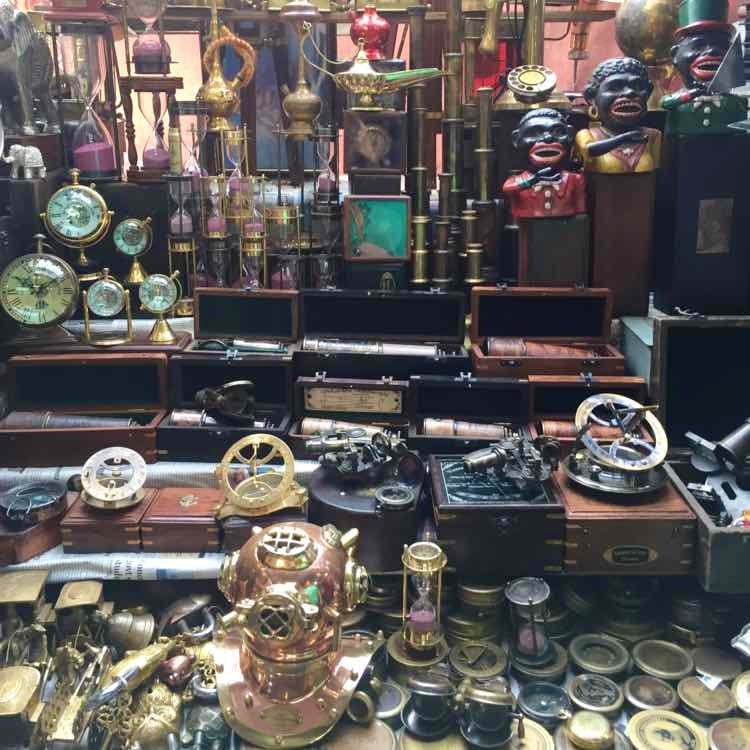 The street vendors on Colaba Causeway sell have a variety of antique items like binoculars, telescopes, compasses, hour glasses and more. If you haggle a bit you get them at a good rate too. There are a bunch of vendors on the street so cross check the rate because some overcharge. Some of the items come in these really cool leather bags and boxes, so look out for the well-packaged ones.